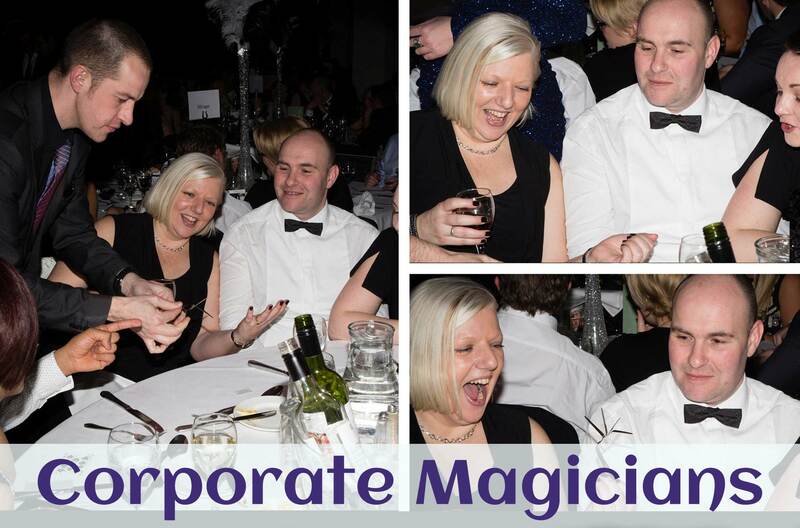 Corporate Magicians - Close-up, Mix and Mingle and Table Magic. A touch of magic makes all the difference when you’re trying to break the ice at a product launch or organise a successful trade show. If you need something special, then the right magician can provide the perfect solution. 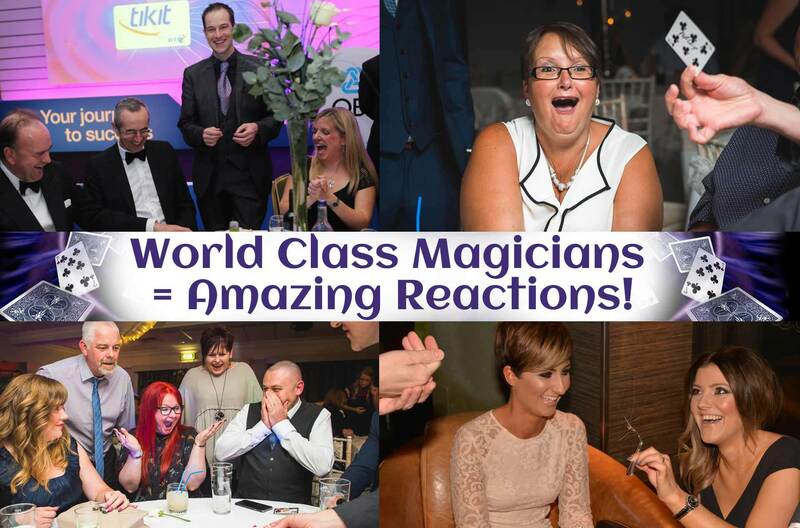 Magical Memories superb Magicians can mix and mingle with your guests, colleagues and/or clients during drinks, dinner or at an exhibition stand and amaze them with outstanding sleight of hand miracles. 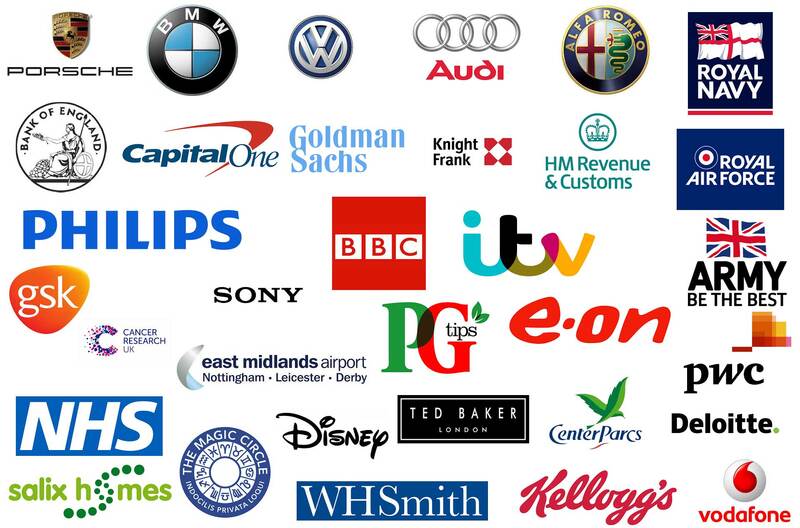 The routines can be adapted to include your company logo or product to really drive the message home. 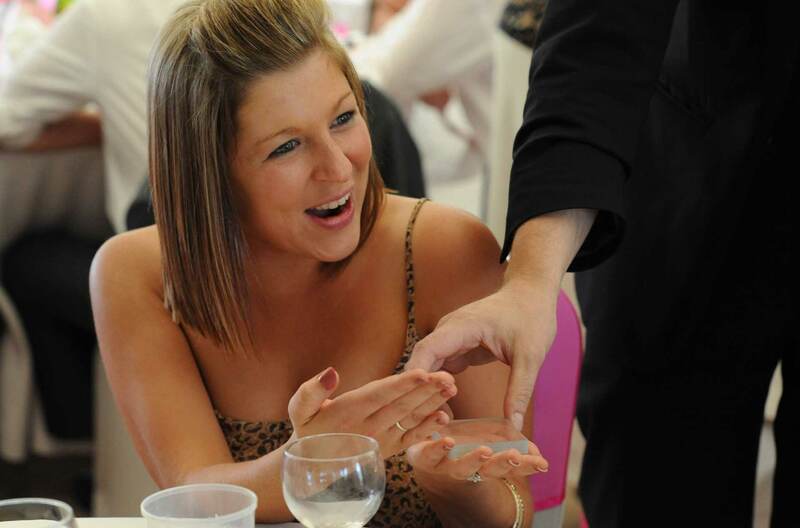 Close-Up Magic is a flexible form of entertainment and is ideal for any corporate event. 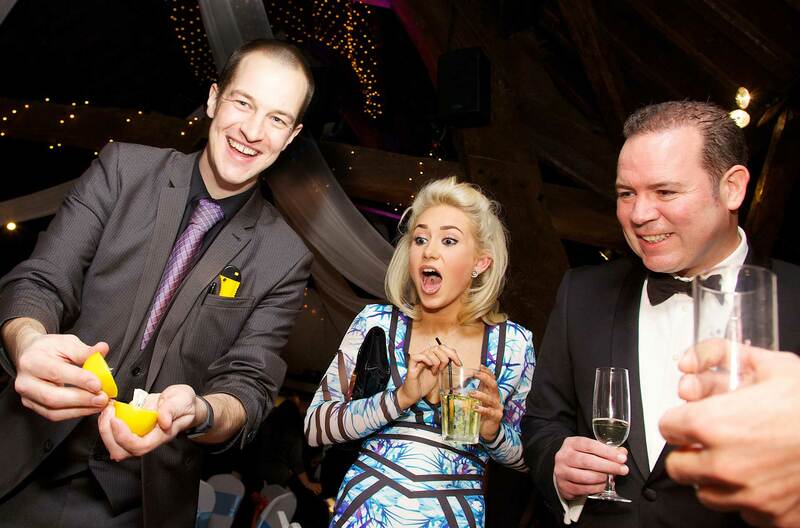 Our magicians can mix and mingle with your guests during drinks, dinner or at an exhibition stand and amaze them with outstanding sleight of hand miracles. 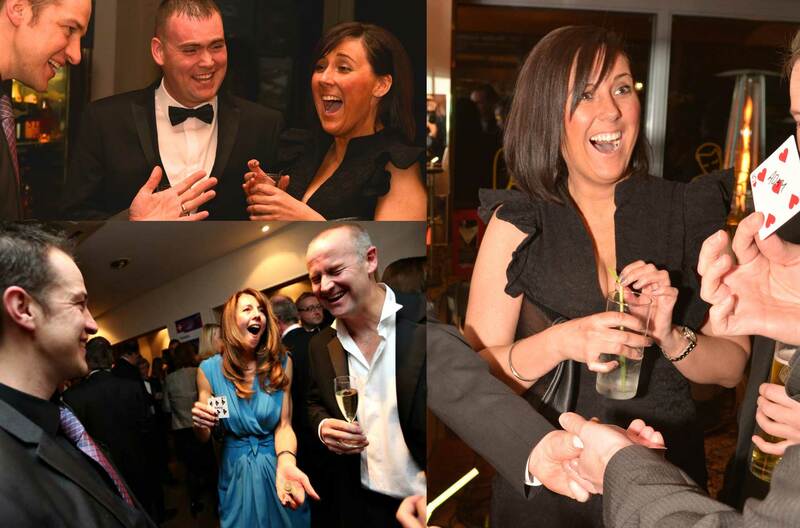 If you want to enhance your event and get people talking, our magicians will do the trick every time. If you are organising a large corporate event, it may be necessary to hire more than one corporate magician to entertain everyone attending. At Magical Memories, we can take care of everything, you make one call and we’ll do the rest! Trade Show Magicians are ideal to seize passers-by and stop them in their tracks. When they have been amazed and entertained they can be introduced to the awaiting sales team. Magic is the ideal crowd-stopper at any trade show exhibition. 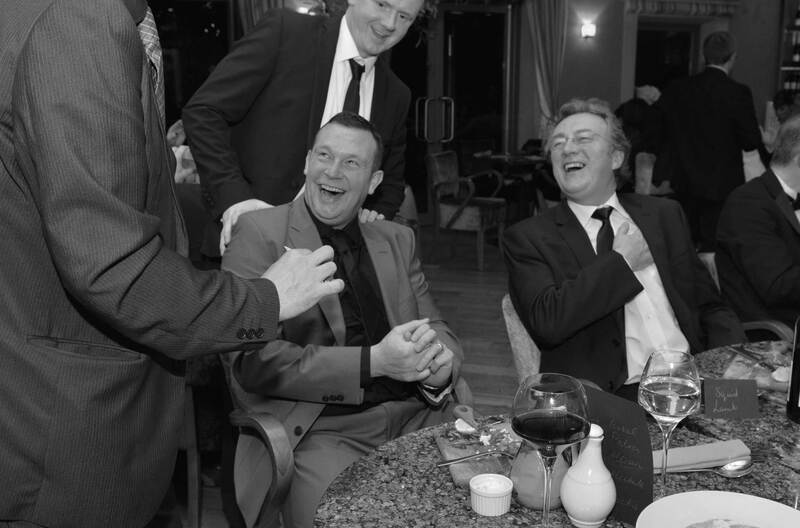 Mr Steve Philips – SCOP Estates and Finance Directors Conference Organiser.